We are the principal insurer in the area of insurance solutions and services within the maritime sector. A leading and internationally operating crew insurer. Working at Anker Crew Insurance means working in an ever-growing company, where you will work together with expert colleagues in a pleasant and open working atmosphere. A company where you will have the possibility to develop, in work or position. Our company culture is a combination of people and result orientation. Our main focus is on people orientation, which shows in our mission and vision and is also clearly reflected in our daily work with colleagues, our customers and joint venture partners. An open company culture ensures that the involvement of the professionals is maintained, that there is a positive working environment and that the operating results are growing. It is important that everyone really feels part of that culture, which is only possible when the company recognizes the same values as the professionals working in that company. Open and equal communications, strong values and committed to the development and empowerment of professionals help Anker to stay the course! 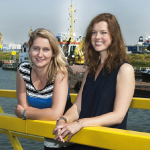 If you like to know more about working at Anker Crew Insurance or apply for a job? Go to our corporate website.